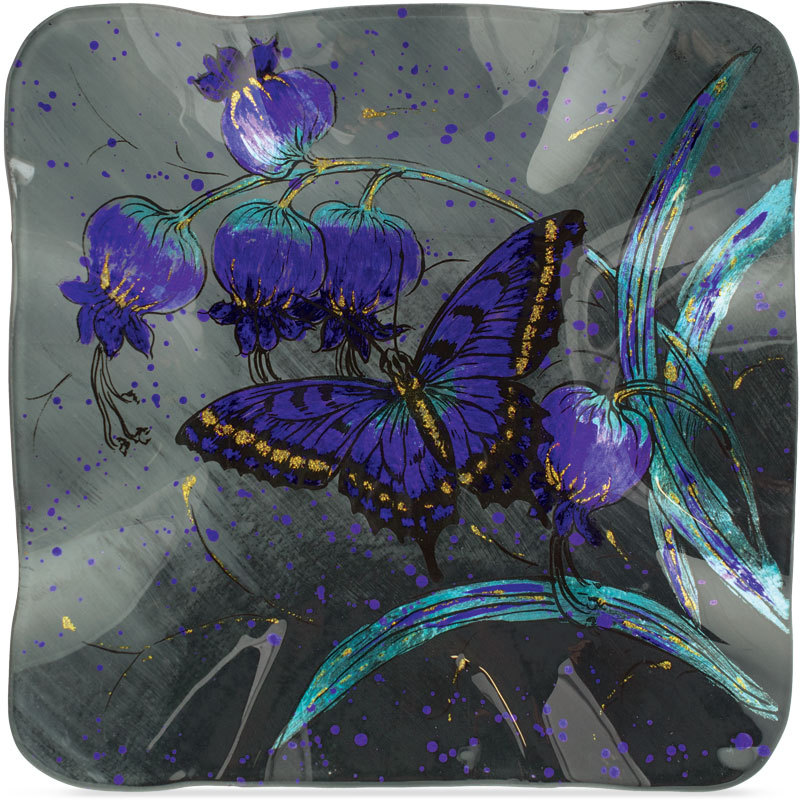 Rich violet butterflies and flowers shine against the deep greys of twilight on this hand painted 10" square glass plate. 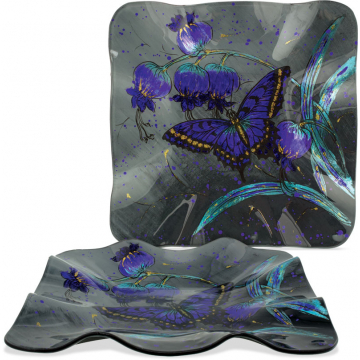 The bright pop of purple and gold sparkle will bring a touch of whimsy to any decor. Each piece is hand-painted, but food safe, so it can be used to hold delicious treats or hang as an accent piece on the wall. 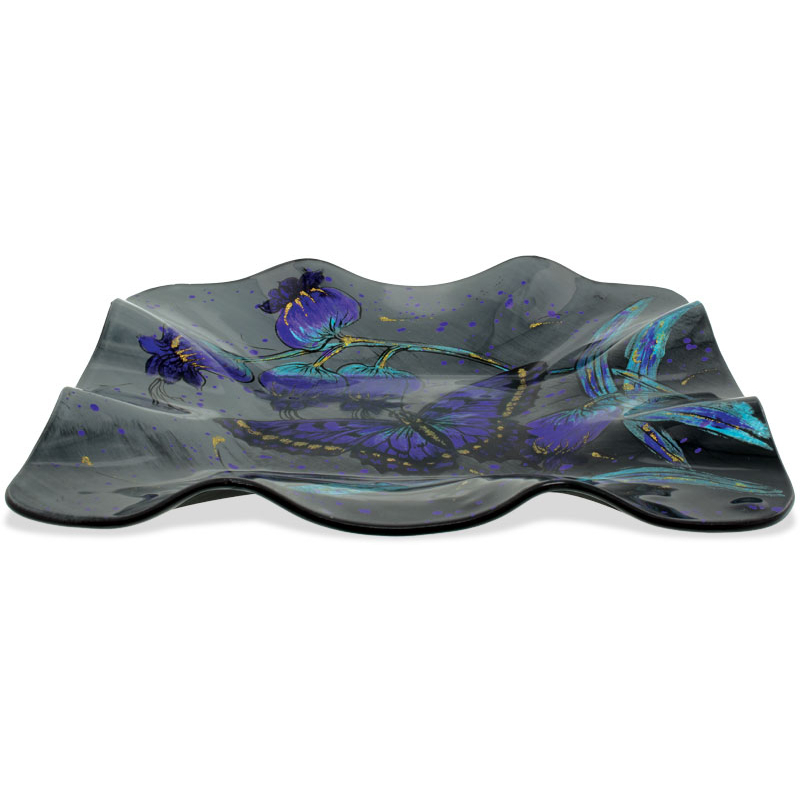 Our handcrafted Cozenza Glassware is food safe, lead and cadmium free.